What I breathe in. You breathe in. What I breathe out. You breathe out. What I do matters to you. And what you do matters to me. It matters to me that people are treated with dignity and respect. That kindness, compassion and tolerance prevail. If I beat down my opponents, criticize and condemn those who go about creating their kind of “better world” in ways that do not match my idea of ‘better’, than I am contributing to discord not peace. In my harsh condemnation of another’s way, I am creating an environment where disrespect and intolerance prevail. And that matters. Because whatever I do, someone else is impacted. How we do what we do matters. Because everything we do has an impact. It’s circle of influence may be small. It may be large. But it all has an impact. It all has a ripple. Recently, while out shopping with my daughter and grandson, a man waited at the mall exit and held the door open for us. It was a small act, but it, created a ripple of gratitude. And gratitude has a way of passing itself along and becoming bigger. Yesterday, his act of grace reminded me of our capacity to be grace-filled in a moment when I really just wanted to be difficult. I was stuck in a long line of traffic creeping into the downtown core. The left lane was closed ahead and cars were zippering into my lane on the right. As I reached the spot where the construction started, there were no more cars beside me. They’d all managed to slide into the right hand lane. He ignored the signs advising people to move into the right lane and drove right up to the construction area, turned on his right hand blinker and tried to edge into the lane. I was about four cars back. Like the cars in front of me, I thought about making him wait for someone else to let him in. You know, teach him a lesson and all that jazz. And then I remembered the gratitude I’d felt when the man held the door open for my daughter and me. I chose to let the driver in. It was better for my heart and soul. In giving into grace, I got to free myself from the inner chatter about how the other driver was acting like a jerk. How I’d already let someone in. Yada. Yada. Yada. Small things make big waves. When I choose the path of peace and let go of criticizing and condemning, I am contributing to the creation of a more peaceful world. When I give into grace and choose to create an environment where peace, love and joy fill my heart and soul, my ripple becomes a wave of possibility in the ocean of life all around me. Categories: acts of grace, Essential Journey | Tags: acts of grace, Ilia Delio, Nelson Mandela, ubuntu | Permalink. Consciously choose to give Love away today. No matter where you are, what you’re doing, consciously decide to let Love be your answer and choose the most loving path, no matter what. And yes, I know it can be hard. Habits, patterns of behaviour built up over the years, accustomed responses can all get in the way of our capacity to respond through Love, not Fear. Not Anger. Not Confusion. I’ll let you in on a secret. ‘Why?’ is the question we ask that let’s us off the hook of getting accountable. Why keeps us spiraling in trying to find answers to questions we don’t really want to know the answers to. The real answer was, “Because I’m learning.” “Because I’ve not yet learned better.” “Because I don’t understand what you want.” “Because I don’t feel safe.”… etc. And, because we thought there really was a ‘deeper’ why to our behaviour, (that’s often what we were told as children) we developed strategies that either, prevented us getting into ‘trouble’ or constantly got us into ‘trouble’. Those habits were developed at a time when we couldn’t make sense of the world around us. Back then, they may have served to protect us from having to answer the ‘why’s’ of the ways we were that we didn’t really understand, but today, they do not always serve us well. They often prevent us from getting, giving, sharing and expressing Love — without expectation or conditions. If you struggle to Give Love Away because habitual behaviours interfere with your joy, gratitude happiness, expressions of Love, seek help. This week, in the Choices seminar room, over 50 people will gather to learn ways to fall in love with themselves without fear blocking their path home to their hearts. There are many courses, books, therapists out there who can make a difference in how you know, express and act out in Love. For me, Choices was the gift that gave me simple, practical and workable tools to create room for me to get out of my own way so that I could come home to my heart without fearing my heart was not a safe place for me to be. In the process, I have fallen in Love with being in Love with me and the world around me. I have learned to seek the joy in this moment, to see the beauty all around and to share Love in everything I do. Try it. You might just fall in Love all over again with the one you were born to Love forever. You. On March 21st, 2016 I made a commitment to share an Act of Grace a week for 52 weeks. Along the way I’ve missed a week and always, I have carried on, creating Acts of Grace until this week when I have completed my vision of creating 52 Acts of Grace. Thank you to everyone who has chimed in, shared, commented and been part of this journey. I am so blessed. Grateful. Joyful. It is always worth repeating. Always worth reminding ourselves we have a choice. No matter the circumstances, between every action and reaction/response, there is always a millisecond of choice where we can choose Love over Fear. To access all 52 Acts of Grace, click HERE. The PDF will download with links to each Act of Grace in the weekly compilation. We did a lot of sitting around the table sharing a meal, sharing in good times and conversation and the beautiful, yet invisible threads of family and friendship that tie us together. From Easter Sunday brunch at the Golf Club with my two sisters, my beloved, brother-in-law, my youngest daughter’s man (she is in Vancouver visiting her sister) and dear friends, to dinner last night at the warm and loving home of Kerry and Howard, it was a weekend of love, cherishing what time we have together, and revelling in the love that binds us, heart to heart. My middle sister arrived on Saturday. Our mother is not doing well, an infection in her blood continues to weaken her — yet, at the sight of my sister, she perked up. Even decided that getting dressed was better than lying in bed in her hospital gown. She also put on make-up. But then, that’s our mother; wanting to look her best for company. We don’t know how long she will be with us. We do know that whatever time she has, we cherish each moment and the gift of being together. And while my mother couldn’t be at the table with us, her presence is felt in every breath we take, in every morsel of food we eat. Gathering people around the table is what my mother, and father, did. I am grateful we continue to gather and cherish the power of sitting around a table. I am grateful for the memories, and the gift of knowing, gathering around a table with family and friends is an act of grace that expands through love. I am amazed to see that I am already at Week 45 with this series! Thank you for those who follow along and encourage me. It can be easy with a project like this to lose ground, give up, stop before it’s completed. I am grateful that I have chosen not to. that I have chosen instead to persevere. Persist. Writing, creating art, doing the things I am committed to doing to create ‘better’ in this world are all expressions of my true self. They are out-pourings of my divine nature looking to be seen, heard, known. We all share this urge. 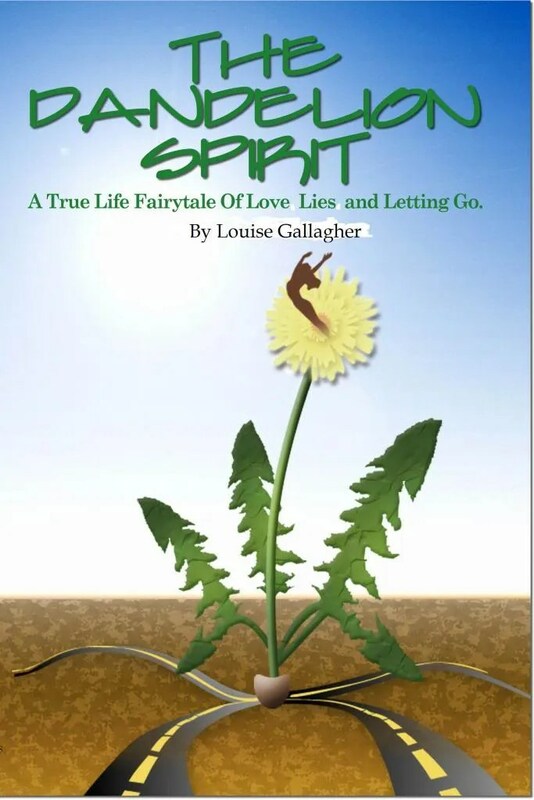 We all possess a divine impulse to be seen and heard and known from the heart out. It can be easy in this materially driven western culture to reverse the flow. To believe that my ‘worth’ is expressed in what I put around me and on me. Don’t be fooled by expressions of material wealth. That is all they are — an outward manifestation of how much is in your bank account. Not how much you carry and know within your heart. Be happy for your material wealth. Be generous with your inner beauty. Express yourself so all the world can see, and know, what is possible when we live from the heart out. I am posting each piece as it’s created on my website — HERE. I’d love to have you join me in this exploration of what is possible when times are tough, when people want to shut us down — and Nevertheless… persist. Giving thanks is a great way to fill your happiness bucket — because, remember, Gratitude is the root of joy. Take the time to let those who run into danger when you are running out, who pick up things you don’t want to touch, who deliver the things you are desperately waiting for or do the work you’d rather not think about, know that you are grateful for their service. Stop and say Thank you so that they know their efforts to create a better place for all of us to live in are appreciated. Gratitude goes a long way to lightening the load for everyone! Gratitude connects us heart-to-heart in every kind of weather. And being connected heart-to-heart is the best way to be in this world. Categories: acts of grace | Tags: acts of grace, be grateful, build a kinder world, give thanks, gratitude acts | Permalink. Friday was my birthday. In the wishes from family and friends, in the messages on FB, the phone calls, emails and texts, I felt light. Breezy. Loved. What if we were to treat everyday like it was someone’s birthday? Imagine if, we created a world where everyone felt every day was their birthday? That everyday was special and the most special part of the day was knowing you because you make them feel so special. Always! Share light everywhere today. Shine bright. Use your smile to be the gift you give to everyone so that they feel special, welcome in your heart and oh so loved. 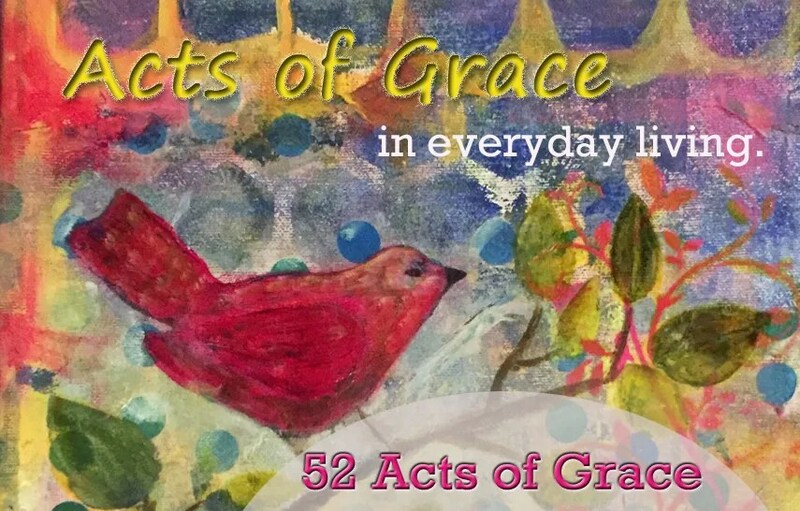 For a listing of the 36 Acts of Grace I’ve posted to date, click HERE. Categories: acts of grace | Tags: acts of grace, be the light, share light, shine | Permalink. Even if you don’t know what you are passionate about, volunteering is a great way to find out what your passions are. Check your FB feed. What ‘stories’ do you share the most? What stories create energy around you? Are you passionate about ending racism? Discrimination? making sure refugees are treated fairly, find a way to assimilate, to find their own space in your city/town/area? If you’re like me and find that stories of animal abuse cause you to cry and weep in despair, you might want to consider the wisdom of volunteering for one of these groups. I can’t do it. I know I will take on the pain and anger too much and not be able to experience the joy of helping one animal at a time. In these instances I donate money to the cause so that I can feel like I am contributing to the well-being of the animals and those who work so hard to end animal abuse. Anger can be an avenue to passion. so if you find yourself always posting or reading up on discrimination, for example, find an organization in your area that works with immigrants and volunteer your time. It’s a great way to meet people, learn about what is being done to make a difference for those who have come here to change their lives, and it’s a great way to contribute to making positive change happen. Several years ago I gave a TEDxTalk called How Volunteering Saved My life. It reminded me of all I was capable of in a time when I didn’t believe I was capable of much. Volunteering did save my life. It helped me restore my sense of worth, dignity, self-esteem, and, I met some wonderful people while I was there! Categories: acts of grace | Tags: acts of grace, how volunteering saved my life, volunteer | Permalink.